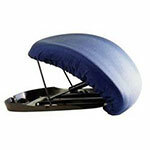 Uplift Technologies Seat Assist 17"x19" For 200-350 Lbs is a self-powered lifting cushion that provides gentle assistance up and down from most armchairs and sofas. Lifts up to 70% of the user's body weight up to 350 lbs. 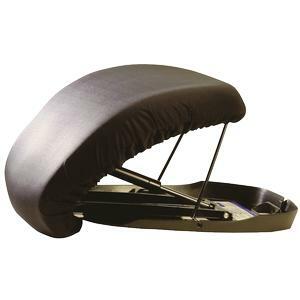 Patented LeveLift™ technology and flexible seat that curves to a flat surface provide a safe lift, with no forward dumping motion. Portable, with built-in carrying handle. 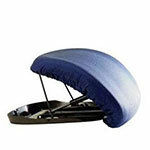 Coated memory foam cushion adjusts to weight, shape and temperature. Black, waterproof, fire retardant cover is removable and machine washable.